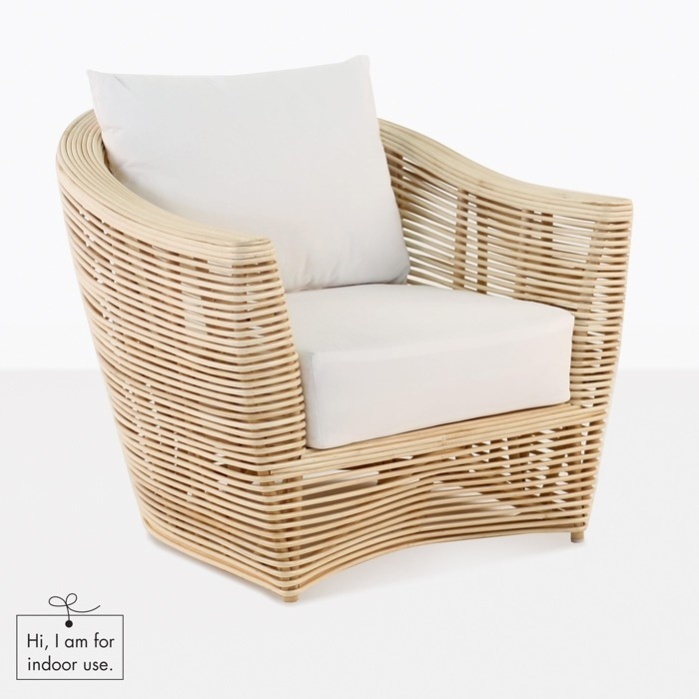 The Global Indoor chair is a gorgeous and comfortable style statement, made for relaxation in the shade or indoors. 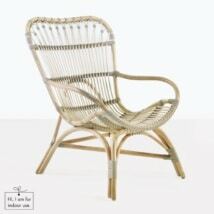 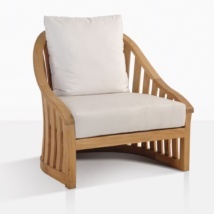 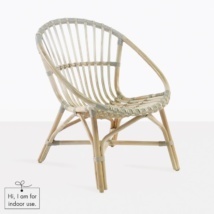 It is made from beautiful Rattan/Cane and high-tech Ecolene® synthetic wicker. 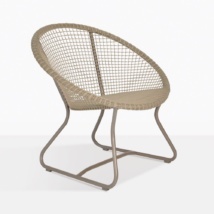 W31" x D33" x H28"
It blends a unique look with unmatched comfort for long-term relaxation. We’ve fallen in love with the Global indoor chair, using it both indoors and outside under shaded structures. 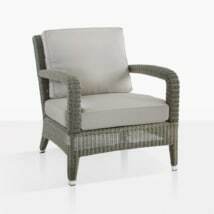 It is so comfortable with the plush Sunbrella® seat and back cushions and is made for the ultimate in relaxation, but also leaves nothing wanting with regards to style. It can be placed anywhere and become the center of attention. 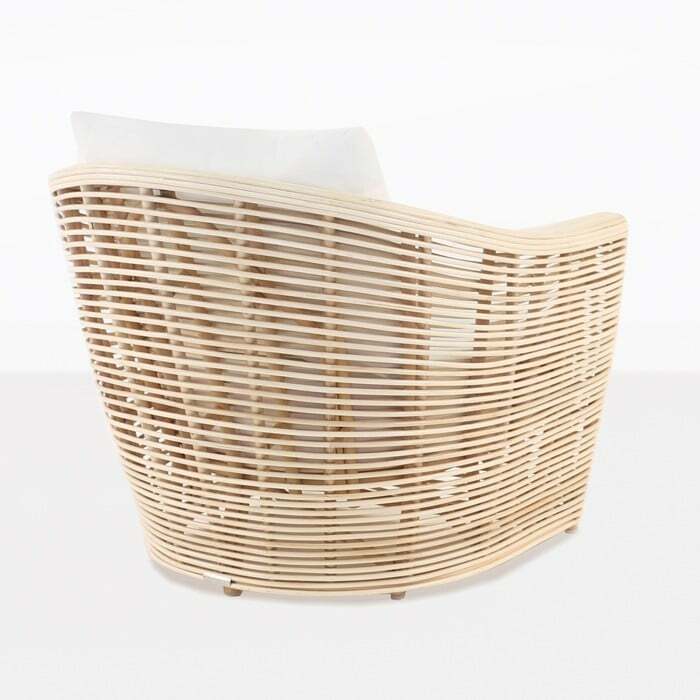 It’s also not as bold as many other pieces of furniture, so it can take on a subdued appearance if you stage it that way as well. 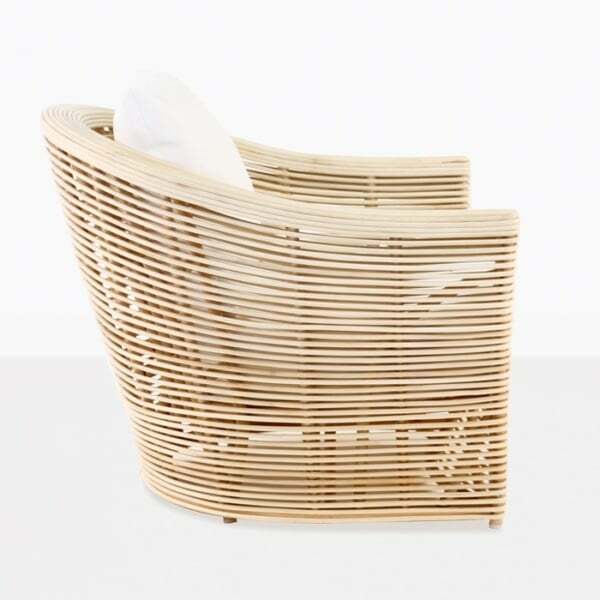 What’s important is that it is beautiful, comfortable and built to last. The Global indoor chair is fun and stylish.